Balancing blood sugar is tricky if you are suffering from impaired glucose metabolism and diabetes. In healthy people, carbohydrates are broken down into glucose and shuttled to cells to generate fuel. Between meals, when glucose is low, the body can use glucose stores (glycogen) and fat for fuel. However, if your body has lost its ability to metabolize glucose and fats properly, you may feel sluggish and fatigued between meals or struggle to keep your body balanced when injecting insulin. The best snack between meals is one that is packed with nutrients AND one that digests slowly to provide a consistent source of fuel that will not overburden your system. This can be tricky! If you are already utilizing a low-carbohydrate diet, you may need foods that are rich in fat and protein but low in carbs. If you are eating a moderate carbohydrate diet, you need to choose foods that are well-balanced between fat, proteins, and carbohydrates, but that also contain fiber to slow the digestion process. If your body is overwhelmed with metabolizing glucose due to diabetes, your pancreas is already struggling to keep up. High carb and fast-digesting snacks and meals put undue pressure on the pancreas to produce sufficient insulin. Even if the pancreas can keep up, insulin resistant cells may not recognize this critical hormone, and high-carb meals may lead to a blood sugar spike that cannot be metabolized properly. Instead, carbohydrates that are slowed down by fiber, fat, and protein reduce the speed of glucose-transport into the blood. This gives the pancreas and cells more time and opportunity to shuttle glucose where it needs to be: out of the blood and into energy-hungry cells. Nuts can be superfoods for diabetics! Both almonds and pistachios have been shown to reduce blood sugar levels when eaten every day for 1- 4 weeks, respectively. Nuts are naturally anti-inflammatory due to the polyunsaturated omega-3 and omega-6 fatty acids contained inside, and many nuts have been shown to improve inflammation.3 Not only are nuts anti-inflammatory, but they contain a great balance of protein, fats, fiber, and carbs. Whipping up a quick batch of guacamole is a delicious and filling snack. While avocados provide small amounts of carbohydrates, they are packed with fiber (13.5 grams alone in one avocado) and water to slow digestion and keep you satiated longer. 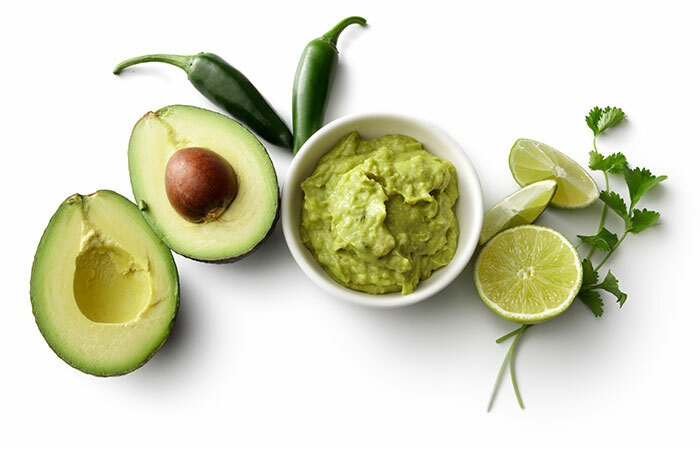 As an added benefit, avocados provide a healthy source of unsaturated fat and a significant source of vitamin C, a micronutrient critical for healthy immune function that has been found to be low in those with diabetes. Avocado provides about 50% of an individual’s daily recommended vitamin K intake. Vitamin K1 is critical for blood clotting, and increased intake has been shown to improve insulin sensitivity in men but not in women. Just a reminder, while corn chips are often enjoyed as the companion to guacamole, corn creates blood sugar spikes and provides little nutritional value. Instead, use fiber-rich vegetables such as celery sticks, cucumber slices, or homemade sweet potato chips as a healthy alternative! This is a tasty variation on #1 that serves as a healthy sweet treat! You can have the benefits of nuts packaged in a small bite-sized ball of deliciousness! There are countless recipes on the web that combine almond butter, other nuts, coconut, dark chocolate, nut flours, dates, and dried fruit. For a low-carb snack, omit dried fruit and dates and sweeten your snack with a small amount of pure stevia. This is my favorite recipe! Form into 1-inch balls and store in the fridge! Simple and satisfying, hard-boiled eggs are a perfect on-the-go snack. One large hard-boiled egg contains about 7 grams of protein, 5 grams of fat, and under 1 gram of carbohydrates. Two eggs are a perfect post-workout snack to support muscle recovery! However, the awesome benefits of eggs for those managing diabetes is in the nutrient-rich yolk! The golden center of the egg contains a diversity of B vitamins, of which diabetics typically have lower levels. More impressive is the yolk’s rich source of chromium and biotin, two nutrients that are critical to insulin and glucose metabolic activity. Multiple studies have shown how both biotin and chromium can improve blood sugar control in diabetics. So, scrap the egg white omelet and eat the whole egg! A quick and easy turkey wrap is a versatile snack! Look for minimally processed and organic turkey deli meat that is free from nitrates. Use it as your base and fill it with your “faves” such as cucumber spears, paleo mayonnaise, avocado, lettuce, nitrate-free bacon, and shredded carrots. This snack is a low-carb and high-fiber snack that is rich in micronutrient-packed veggies! Turkey also provides a good source of many B-vitamins, protein, and is a good source of zinc and magnesium. Not only is kale packed with vitamins A and C, which are critical for healthy immune function, but only one cup provides over 100% of your daily vitamin K requirements. Kale is also a good source of copper, a much-ignored mineral that is required for proper glucose and insulin interaction. 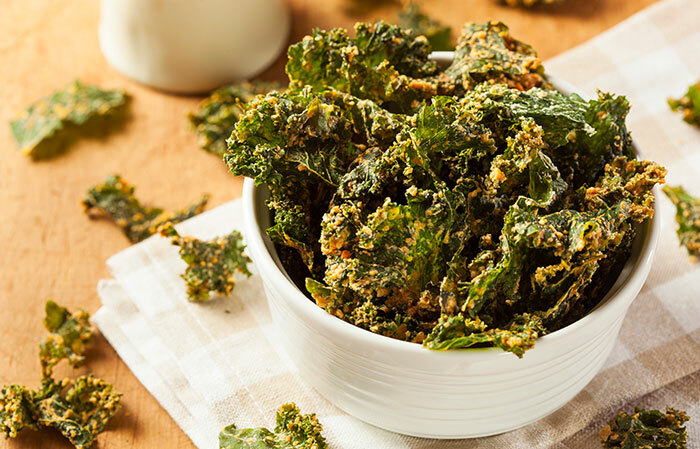 While kale is great in any form, kale chips are a satiating and easy snack to make ahead of time and take on the road! Simply chop, wash, and dry kale. Toss with good quality olive oil, salt, and any preferred seasoning. Spread kale in a single layer on a parchment paper-lined baking tray and bake on 350 degrees F for 10-15 minutes until crisp, but not burnt. Jerky can be a rich source of protein, a healthy source of fat, and is naturally low in carbohydrates if you choose the right brand or make your own! Not only is quality beef jerky packed with zinc, which is essential for immune function and glucose sensitivity, but it is also a wonderful source of iron and B vitamins as well as copper, phosphorus, and choline! Not all jerky is created equally, and many brands are made with feedlot beef and then processed with toxic additives and preservatives. Look for grass-fed beef selections or have your butcher thin-slice high quality organic and grass-fed beef and make your own! This is a less-expensive option as well! A rich and creamy smoothie can feel like a treat and can keep you energized for hours! Organic canned coconut milk without additives or sugar is the perfect base for a snack or breakfast! While coconut is naturally high in fat, it has the benefit of containing a specific type of fat called medium-chain triglycerides (MCT). The medium-sized fat digests differently and more easily than short and long-chain fats and can be used more readily for fuel. This can benefit diabetics who are utilizing a low-carb diet. As an added benefit, MCTs have been shown to improve weight loss, enhance exercise performance, support gut health, increase insulin sensitivity, and improve cholesterol ratios. Coconut milk is versatile, so you can play around with many flavors, but my personal favorite low-carb smoothie includes frozen berries, a pinch of SweetLeaf Stevia, and spinach blended well with a cup of coconut milk (tip: If coconut milk does not agree with you, you can buy MCT as a supplement to add to any form of smoothie). While nuts get a lot of glory, seeds are an incredible source of essential micronutrients and provide healthy fats and proteins that keep you satisfied for hours. Most seeds are rich in vitamins A, B, C, and E as well as calcium, magnesium, potassium, zinc, iron, selenium, and manganese. Seeds are also one of the best sources of omega-3 (anti-inflammatory) fats. Pumpkins seeds specifically have been shown to improve diabetes risk by decreasing oxidative stress. Sunflower seeds are also considered anti-diabetic and anti-inflammatory. Flax is another power-house seed that is dense with omega-3 fatty acids, packed with fiber and has been shown to reduce waist circumference. Seeds are best consumed raw, but sprouting and low-heat roasting can provide tasty variations on this healthy snack (flax oxidizes easily, so it is best not to roast flax; rather, store it in the freezer). 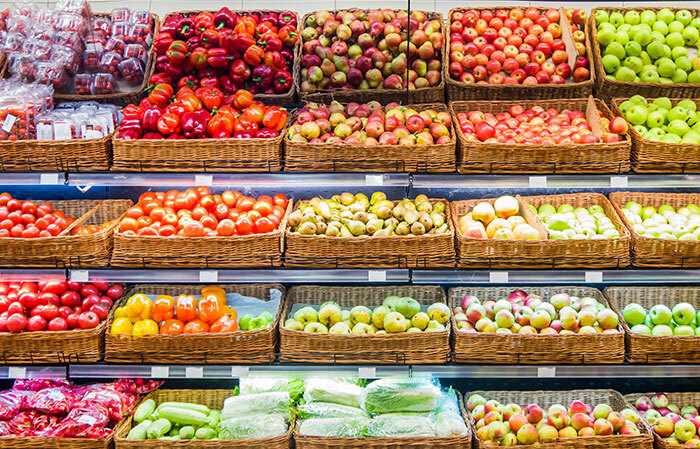 Fruits and vegetables are widely accepted as one of the best nutritional approaches to promote health and longevity. In general, they are packed with detoxifying fiber, water, vitamins, and minerals while also being moderate to low in calories. This means you can eat MORE, which leaves you full and nourished without over-consuming energy. While plants vary in nutritional composition, one common theme among vegetables and fruit is the flavonoid content. Flavonoids are “phytochemicals” that are responsible for the bright colors of many plant foods. Flavonoids are antioxidants, anti-inflammatory, and support proper cardiovascular and nervous system functioning, all serious concerns for diabetics. It may be surprising, but current dietary guidelines suggest that adults should be consuming 9-13 servings of vegetables and fruit per day. 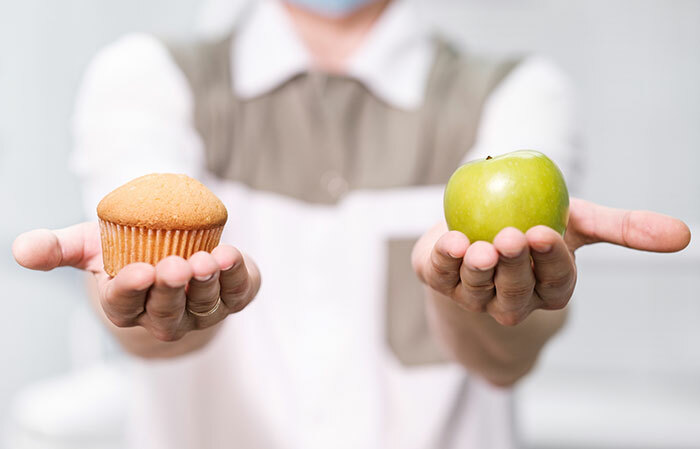 For diabetics, it may be beneficial to consume low-sugar options, avoiding potatoes, corn, pineapple, pears, banana, watermelon, and red apples. Instead, eat a variety of greens, brightly colored vegetables like peppers, and sulfur-rich options such as cabbage, brussels sprouts, bok choy, broccoli, and cauliflower. Berries, green apples, coconut, olives, lemon, and avocados are excellent fruits for those managing high blood sugar!